FilRight Designer FLEX filament is the filament to print a strong and at the same time flexible product with your 3D printer. Due to the flexibility of this product, FLEX filament can be compared with rubber. Do you want to print a strong and at the same time flexible product with your 3D printer? Then use FilRight Designer FLEX filament. This filament is flexible and therefore comparable to rubber. 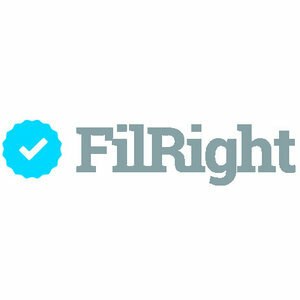 What are the specifications of FilRight Designer FLEX filament? FilRight Designer FLEX filament is delivered on a 500 gram spool. This filament is available in different colors and in both 1.75 and 2.85 mm diameters. Are you looking for a color and / or spool size that is not mentioned on our website? Then contact us. Other colors and spool sizes of this flexible filament are available on request in most cases. In order to achieve the optimal print result, we advise you to keep a print temperature of 220°C to 260°C when you make 3D prints with FLEX filament. A heatbed (80°C - 120°C) is required and always use an adhesive such as Printafix for the print bed. This prevents problems with the adhesion of 3D prints and any possible warping. What are the properties of FilRight Designer FLEX filament? For all technical specifications regarding FilRight Designer FLEX filament we have a TDS and MSDS available. On which 3D printers can FilRight Designer FLEX filament be printed? Due to the very small diameter tolerance, FilRight Designer FLEX filament is suitable for almost all (FDM) 3D printers. How is FilRight Designer FLEX filament delivered? All FilRight filaments are delivered on a transparent spool, so that the stock quantity of filament is visible at all times. In order to prevent possible damage during transport, each spool is sealed separately and packed in a cardboard box designed for FilRight. Would you like to know more about FilRight Designer FLEX filament? Then contact us.